Platform fitted with a dismountable FOPS certified roof for optimal personal protection. Adaptability: can be used as a regular 3m slewing platform when the roof is dismounted. 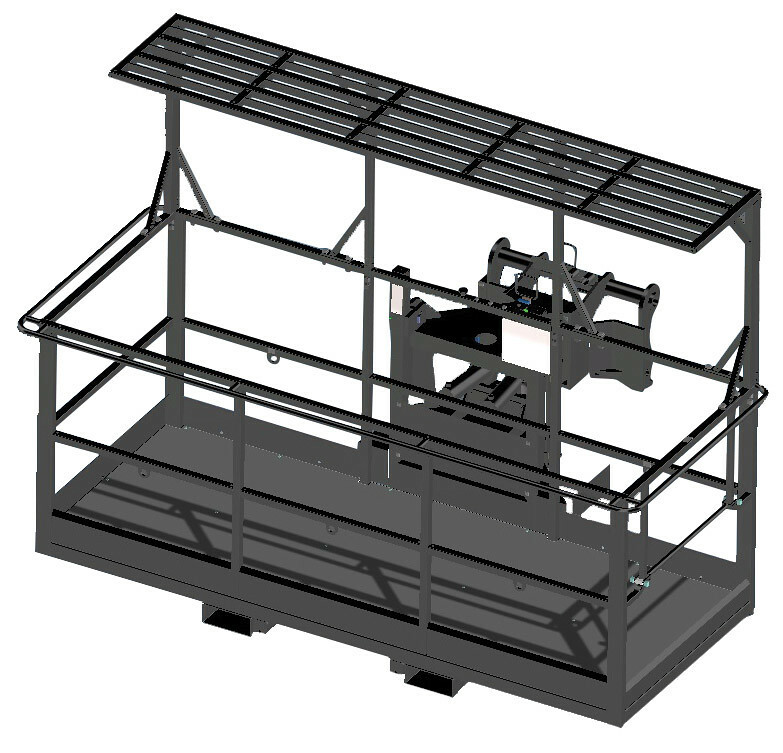 Capacity 1000kg allowing the use of heavy tools in the platform.